Even as he has taken leadership of a new political party that will be contesting the upcoming General Elections, Hon. 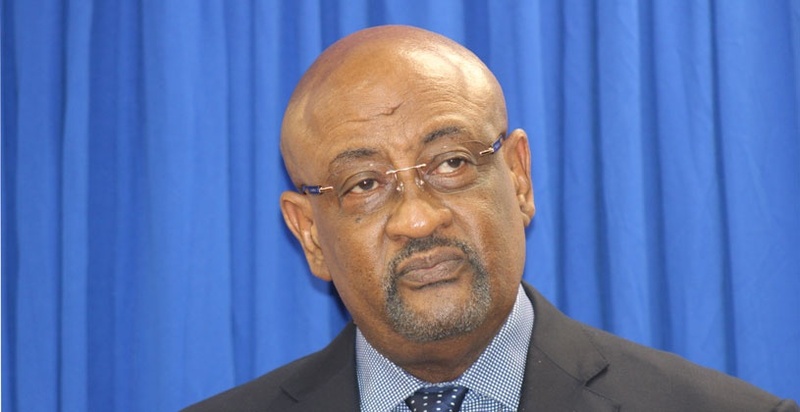 Ronnie Skelton has admitted that he holds some amount of blame as it relates to how Government handled certain projects while he served under the National Democratic Party (NDP) as a Minister. “There is quite sufficient for all of the flag bearers who were elected under the NDP banner in 2011 and again in 2015 to share. This includes me,” he stated during a press conference on Wednesday, December 5. He was at the time addressing questions in relation to the Government’s poor management of some projects and the overspending that came along with them, such as the Pier Park project and the Elmore Stoutt High School perimeter wall project. “I must say from the beginning, the idea and concept of these things were very important. Protecting our children at the High School was extremely important…I voted for the wall to be built; the implementation of it…I was not involved in the implementation of it,” he stated. It was issues such as these, he said, that led to the birth of his new party, the Progressive Virgin Islands Movement (PVIM). “I reached a point where it became clear to me that I had to take another road in my journey to continue to work and serve the people of these Virgin Islands,” he told reporters. He added that the lack of cohesion within the NDP began long before the internal elections in June, maintaining that he did not form the new party out of a desire for power after losing his bid for the position of NDP Chairman. “I am not bitter or angry with anyone,” he stated. However, he stated that he could not lobby for the changes that he believes are needed in the territory as just a Minister. When questioned about what was viewed as his dishonesty in forming a new party while remaining a Government Minister, Hon. Skelton said that he saw nothing wrong or unethical about his actions. Hon. Ronnie, say no more! nobody would have thought a wall would be 1.6 million. What could a wall be made of to cost that kind of money? Especially when the schools have other needs and the money could have been better spent, it boils down to the fact that the minister of education mismanaged the funds as stated in the Auditor General Report and he, MW, need to stop talking a wack of %h*t and admit to that.